Last week, TX2K19 took place outside of Houston, Texas. It’s a legally sanctioned automotive event that features things like drag racing, roll racing, dynoing and meets. It sounded great, but unfortunately a bunch of idiots also decided to hold street racing events of their own outside of the legal boundaries. 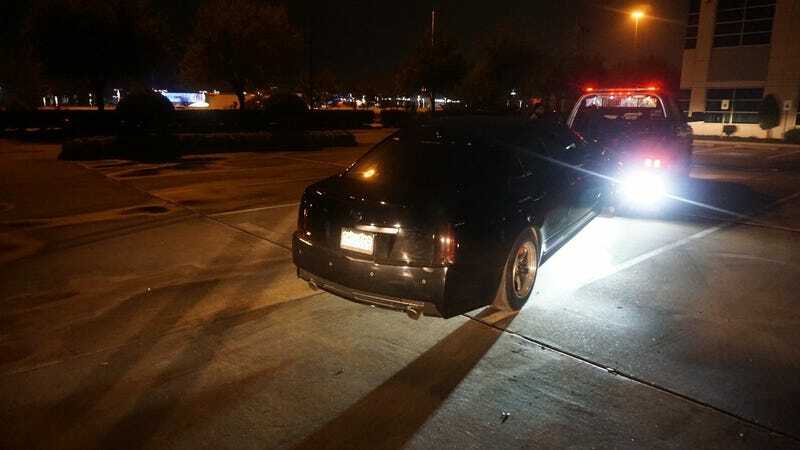 On March 14, Harris County Constable Ted Heap wrote on Facebook that four people had been arrested for racing on highways. Clearly, these words fell on deaf ears, as today ABC13 reported that a 19-year-old pedestrian was hit by a car during an alleged street race in northwest Harris County. Brothers of the victim told ABC13 Eyewitness News that he and his dad were at that location to see the race. According to police, it all ended when a red Camaro struck the family’s truck and then the victim. The pedestrian is in stable condition, the outlet reports. One of the potential solutions to street racing is setting up legal and sanctioned events so that people can get speeding safely out of their systems. Events like TX2K19. And yet, even with that going on, these morons still couldn’t stop endangering people so they could get their speed fix. That makes these arrests even worse because there was a perfectly good and legal outlet right there and they still chose to speed illegally. I cannot say this enough: If you street race, you are dumb and bad. Find a legal place to do it or don’t do it at all. Correction 2:56 p.m. EST: The event is TX2K19, not TK2K19. This post has been updated.